Reviews of Princess of the Mundane: "Captivating! ", "That was great! ", "Nice job", "Very Cool! ", "Great photo shoot! " Young girls are bombarded with the concept of princesses from a very early age through literature, dolls, toys, cartoons and movies. Princesses are pretty, kind, young and hopeful. They wear beautiful gowns, gloves, and sparkling tiaras. Sometimes life gets rough, but in the end their Prince Charming rescues them and they live happily ever after. 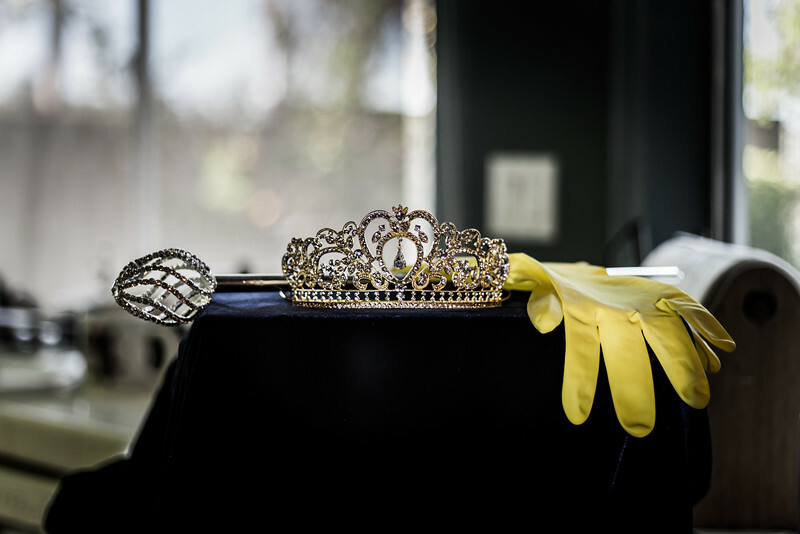 Princess of the Mundane is the internal emotional struggle of seeing ourselves as princesses, yet on a daily basis, we must deal with everyday ordinary life. The center of our beautiful magical dream about us is in constant conflict with our reality. I hope these images resonate with women, so they know that they are not alone in their struggle with the mundane. © Monique Dodge All Rights Reserved.